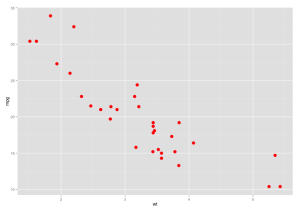 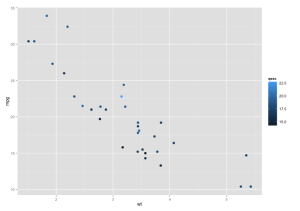 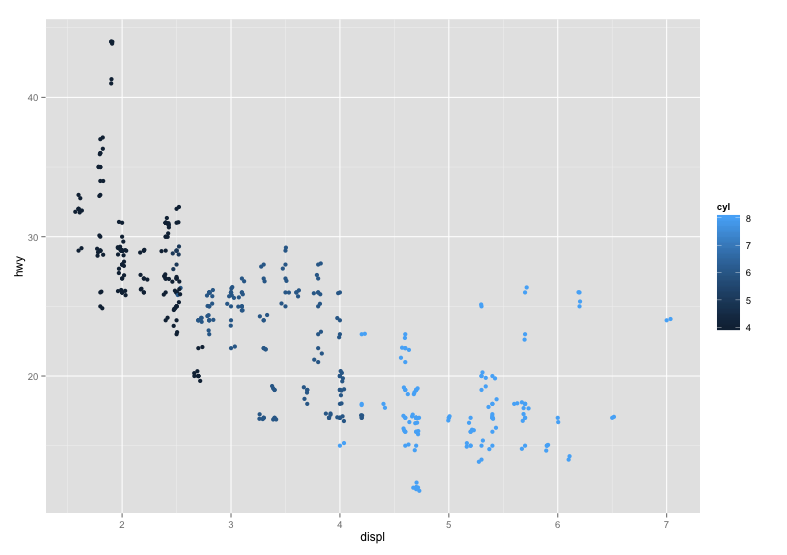 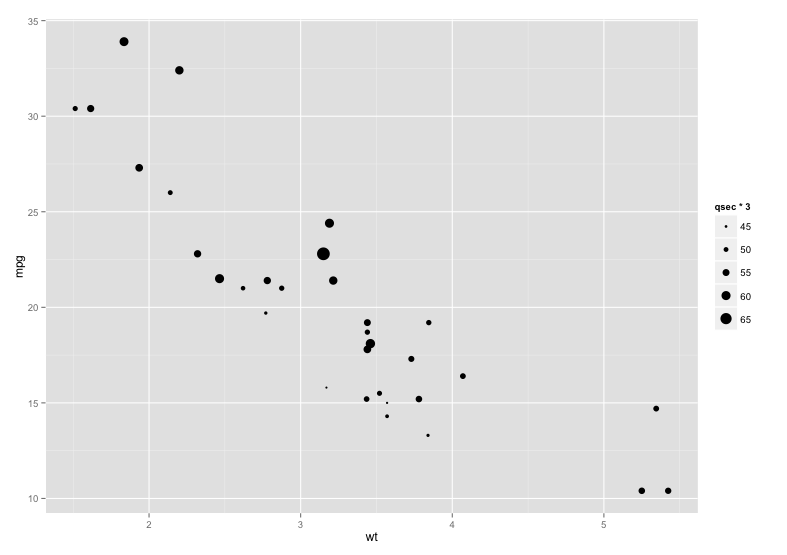 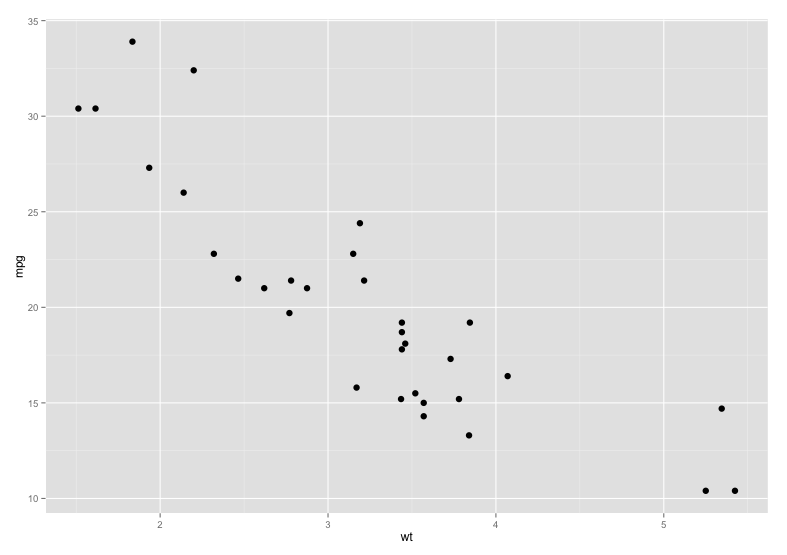 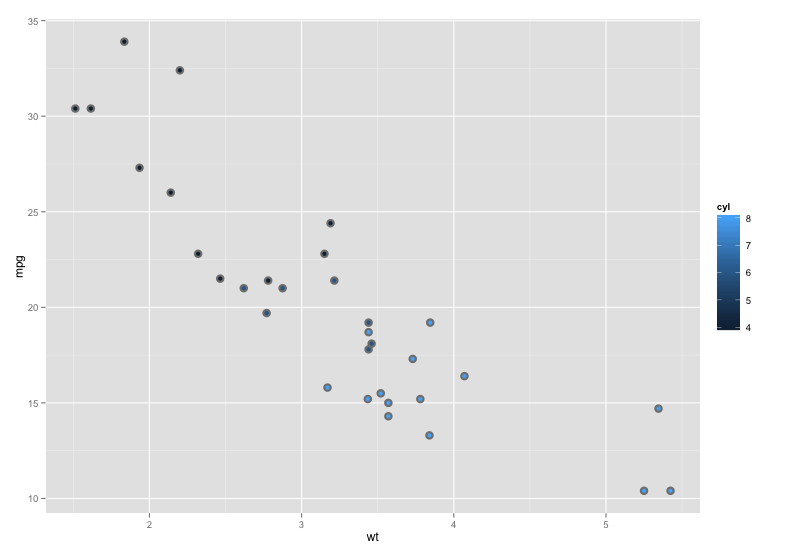 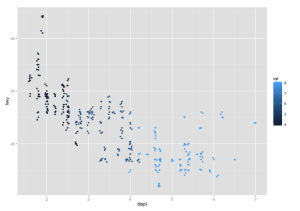 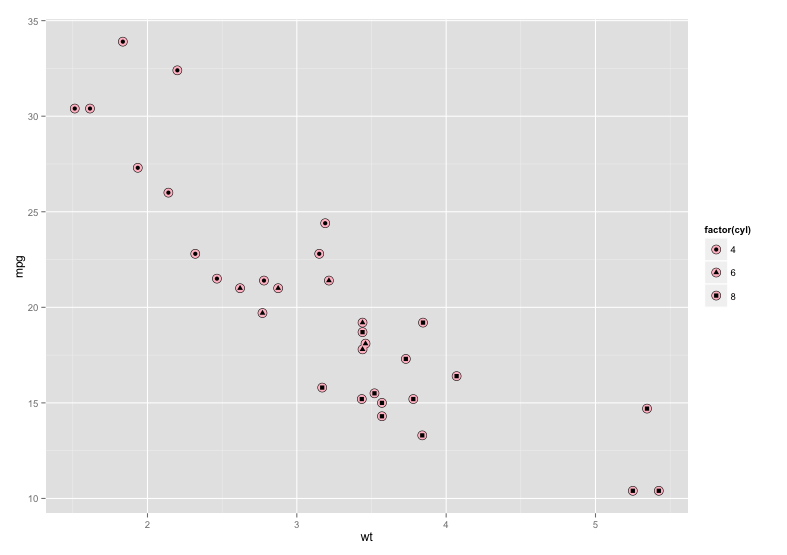 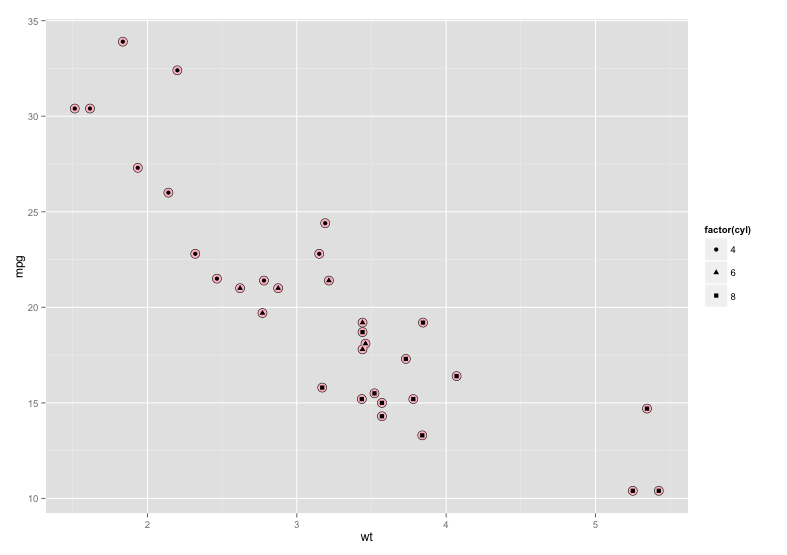 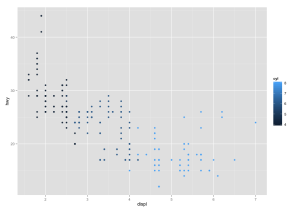 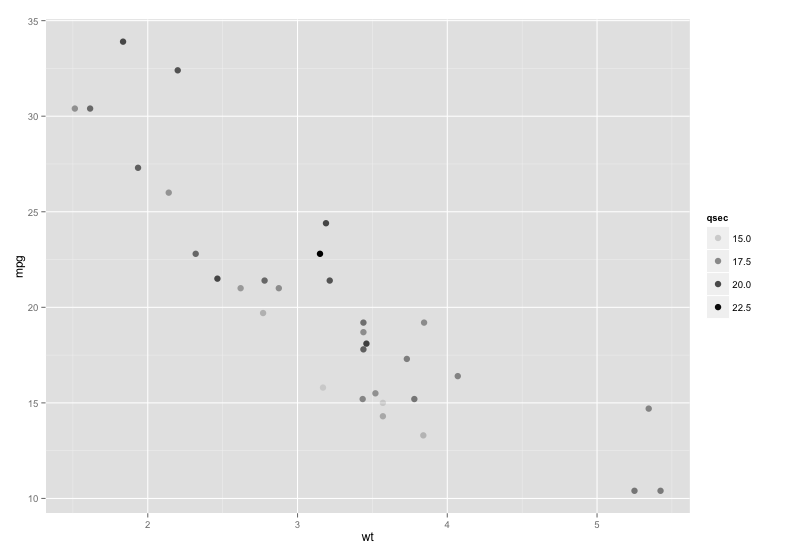 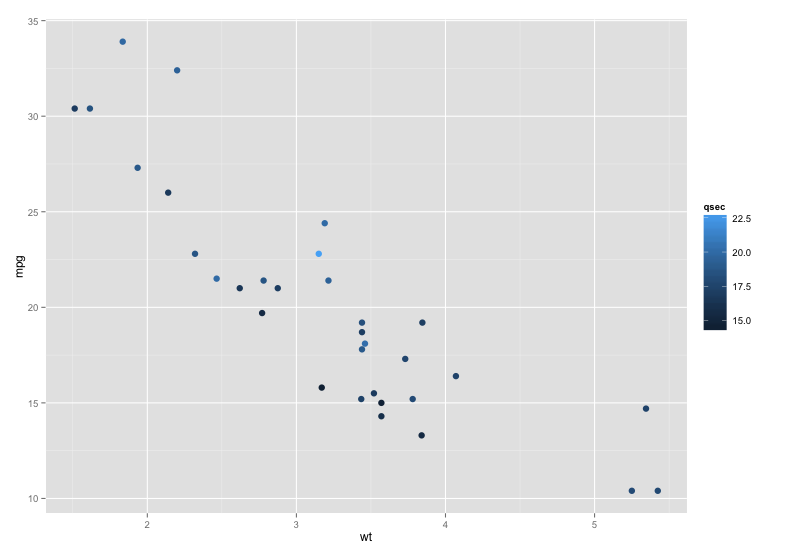 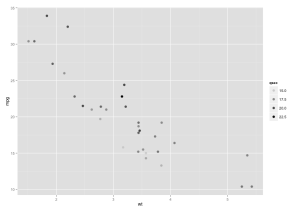 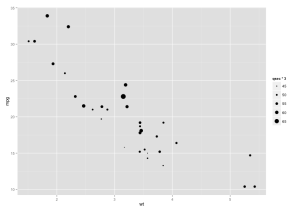 Scatter plots in ggplot are simple to construct and can utilize many format options. The mtcars data frame ships with R and was extracted from the 1974 US Magazine Motor Trend. 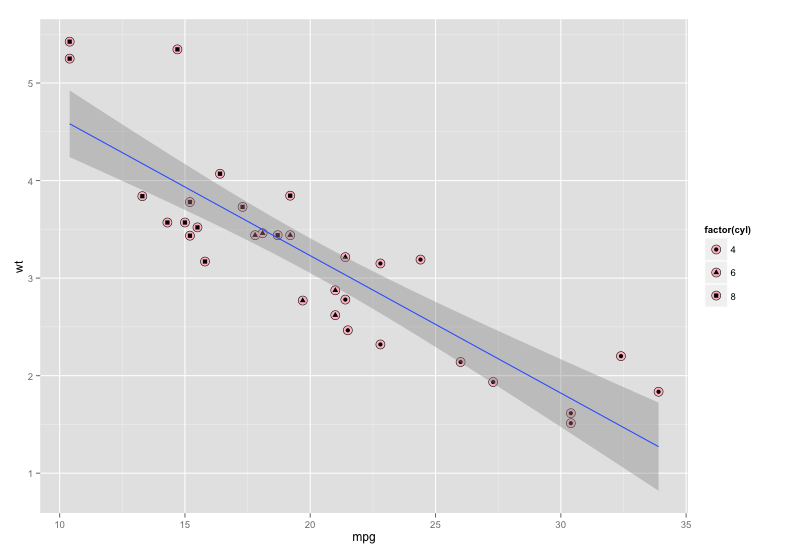 The data compares fuel consumption and 10 aspects of automobile design and performance for 32 automobiles (1973–74 models). Scatter plot aesthetics are used to control selected x and y data, color (by name), point shape (1 thru 24), alpha level (or transparency), point size, and point fill. 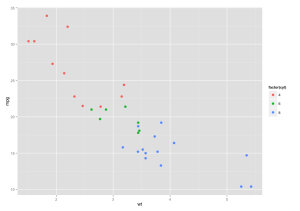 Aesthetics can also be set without calls to the aes() function. Interesting effects can be created by layering points on top of each other. 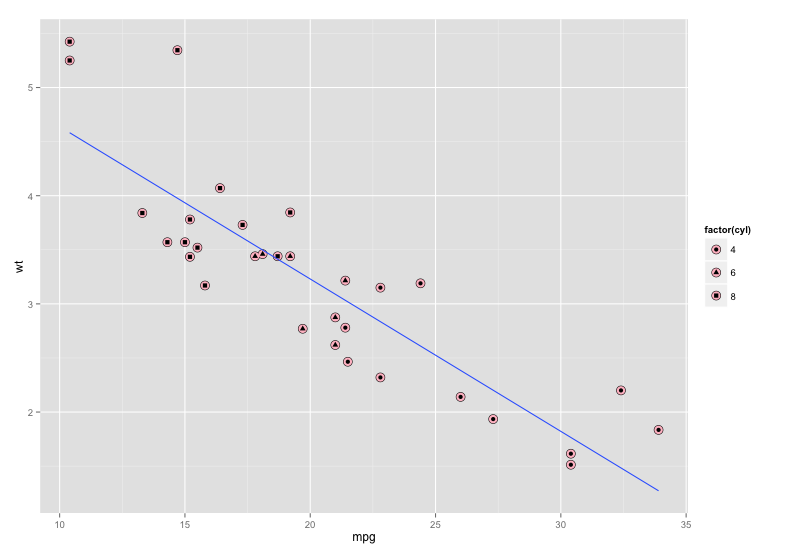 Regression lines can be added to the scatterplot to identify overall trends or trends by factor. 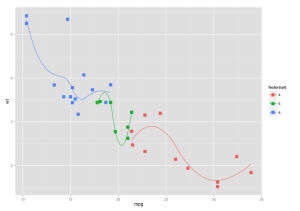 Linear models, Loess interpolation or custom models can be added. It is not uncommon that observations will overlap each other in a scatterplot, making it difficult to see data points and the true distribution. 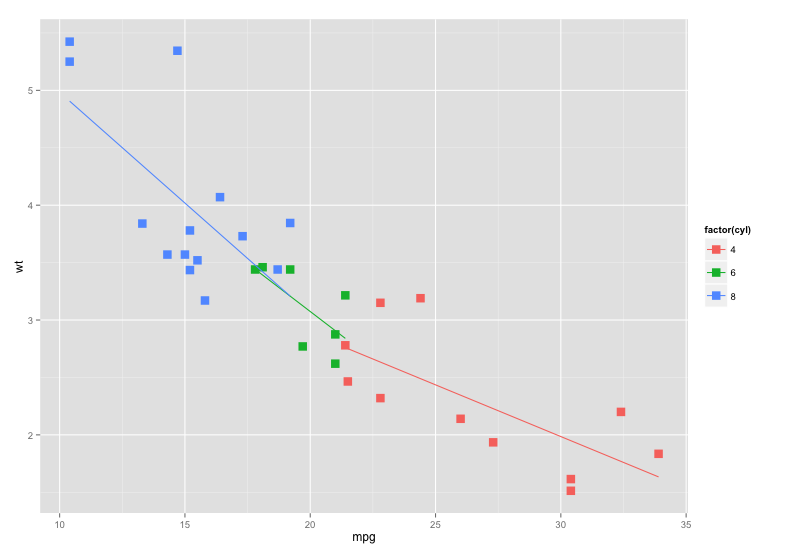 This is especially likely for large data objects. 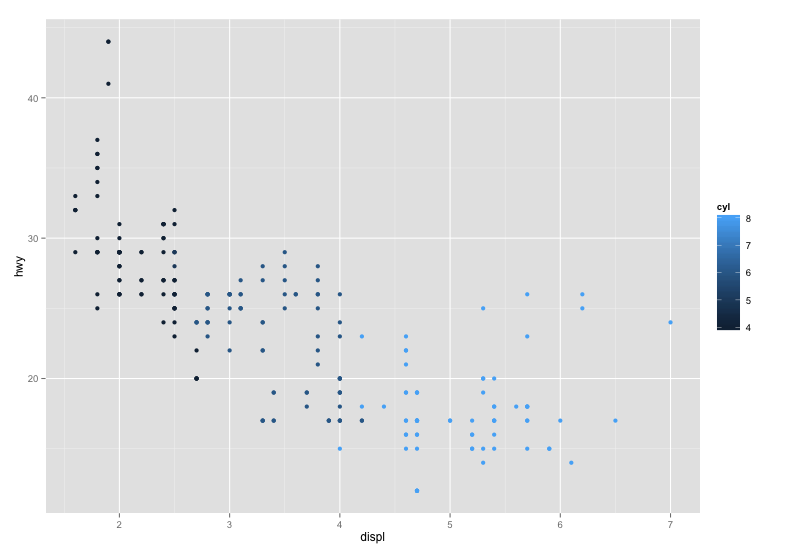 geom_jitter() will minimize this problem by “jittering” or moving points slightly to avoid direct overlap. 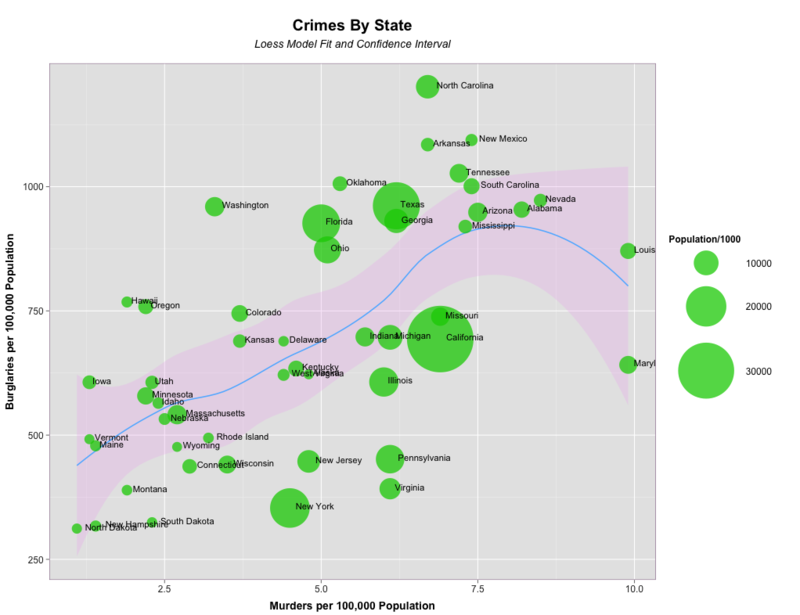 names(crime)[names(crime) == "population"] <- "Population"